You can’t go home again—and survive—in this mesmerizing crime novel by Meg Gardiner, “a top-tier mystery writer at the top of her game” (BookPage). Rory Mackenzie vowed to never return to her hometown of Ransom River, California. But she comes back and does her civic duty. Now she’s juror number seven on a high-profile murder case. While most of the town is focused on the tense and shocking circumstances of the trial, Rory’s return to Ransom River dredges up troubling memories from her childhood that she can no longer ignore. And in the wake of a desperate attack on the courthouse, Rory realizes exposing these dark skeletons has connected her to an old case that was never solved, and that bringing the truth to light just might destroy her. 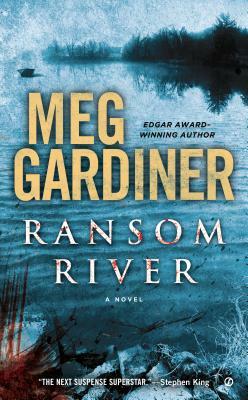 Meg Gardiner is the author of nine previous novels, including the Evan Delaney series, whose China Lake won the Edgar® Award for best paperback original. Originally from Santa Barbara, she now lives with her family in London.